Thailand – based PTT Exploration and Production (PTTEP) will commence exploration work in the M9 and M11 offshore blocks in Myanmar’s Gulf of Martaban next year. 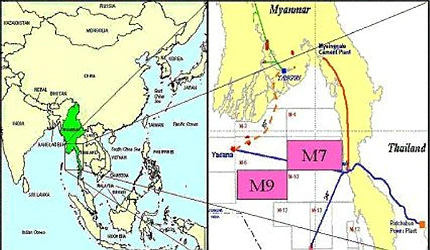 Blocks M9 and M11 of the Gulf of Martaban, offshore of Myanmar. The blocks are 250 kilometres from Dawei and 270 kilometres from Myeik, respectively. The company held a public meeting on Tuesday (August 29) to discuss the project, but only a handful of people attended, including government staff, representatives of civil-society groups and other invitees.